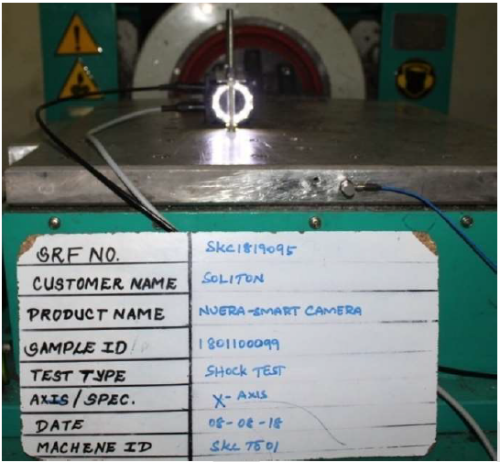 Soliton is committed to provide highest quality products, various tests and certification procedures (as listed below) have been carried out on NUERA Smart camera to ensure the best quality & reliability. NUERA standard version is IP67 certified. External test laboratory to carry out temperature test to evaluate reliability of our NUERA Smart Camera design. 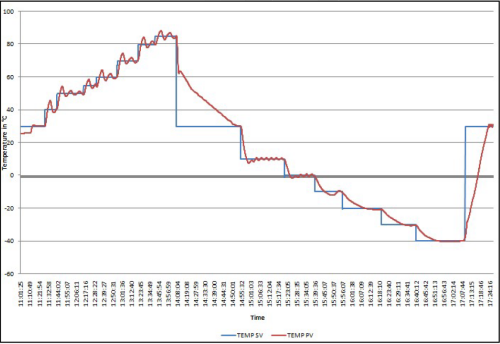 Temperature test starts range from 30 degree C to 85 degree C in 5 steps and comes back to -40 degree C in 5 steps. Holding time at each step was 15 minutes and total test duration was 6 hours. During the test camera was powered and streaming the live image to the WebGUI on another laptop connected over Ethernet. Camera functioned properly during the test duration and found no external physical defects after test was over. External test laboratory to carry out vibration test to evaluate reliability of our NUERA Smart Camera design. 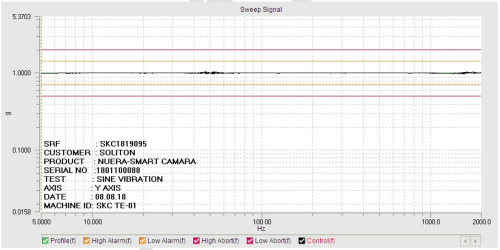 Vibration profile used for the test was Sinewave vibration 1g, 5 – 2000Hz, 1 octave per minute, 4 sweeps per axis (X, Y, Z). During the test camera was powered and streaming the live image to the WebGUI on another laptop connected over Ethernet. Camera functioned properly during the test duration and found no external physical defects after test was over. External test laboratory to carry out shock test to evaluate reliability of our NUERA Smart Camera design. Shock profile used was 10g, 11msec, 18 shocks (6 shocks per axis). During the test camera was powered and streaming the live image to the WebGUI on another laptop connected over Ethernet. Camera functioned properly during the test duration and found no external physical defects after test was over. During design phase, Soliton has carefully selected all the components for NUERA Smart Camera and can confirm that all the components used are ROHS compliant. NUERA by design is ESD protected but still it is recommend to take precautions while handling the camera in the field. Soliton has carried out emission tests on NUERA Smart Camera and found results well with in the limits defined by CE and FCC. Pre-compliance testing is in progress and soon will be going for final certification test. NUERA Smart Camera is expected to get CE/FCC certification by approx. Dec 2018 time frame.